Designed specifically for professional meeting planners and tour operators, the Greater Phoenix Meeting & Travel Planner Guide is sent in response to requests for information. Phoenix Area Map’s user-friendly format has made it the in-demand, go-to product for the Valley’s local and visiting explorers. The Tucson Official Travel Guide is the only official local visitor publication delivered to travelers BEFORE they arrive in Southern Arizona. Motivate travelers to start planning and booking by promoting the best places to stay and play in Tucson with Display Ads. The Sedona Destination Event Planner is the Sedona Chamber of Commerce & Tourism Bureau’s (SCC&TB) primary response piece used to fulfill meeting, group, wedding and event inquiries. Manage your search results with OnLocation. The Experience Sedona Guide is the Sedona Chamber of Commerce Tourism Bureau’s (SCC&TB) primary response piece used in promoting Sedona as a leading visitor destination. Annually, the Sedona Chamber of Commerce & Tourism Bureau (SCC&TB) prints beautiful guidebooks that are easy-to-use and assist both local residents and visitors. Phoenix Official Travel Guide is keeping pace with changing travel planning habits by working with the web to keep your destination or business top of mind throughout the year. An interactive video allowing prospective travelers and meeting planners the opportunity to virtually step into their destination. Motivate travelers to start planning and booking by promoting the best places to stay and play in Florida with Display Ads. Amplified Storytelling captivates and immerses readers in your destination, inspiring their trip. Create brand awareness and encourage travelers to take the next step and book their vacation to your destination. You want to inspire consumers to solidify travel plans and book their adventure—that’s where Search Engine Marketing comes in. Search Engine Marketing ensures a greater share of relevant and interested consumers choose your website over a competitor’s. Ensure a greater share of interested consumers choose your website over your competitors’ with Search Engine Marketing. Create brand awareness and encourage travelers from Canada to take the next step toward booking their dream vacation with Display Ads. Create brand awareness and encourage travelers to book their next vacation with Display Ads. Geofencing is a location-based digital marketing tool that allows marketers to welcome potential customers who enter a virtual perimeter with mobile display ads relative to their location. Video Inspires Action. With more than 1 billion unique users visiting YouTube each month, video ads offer an extraordinary opportunity to reach large audiences. Visit KC is the only official local visitor publication delivered to travelers BEFORE they arrive in Kansas City. Missouri's Digital Campaign Packages use a multi-platform strategy to engage your target audience, starting with Amplified Storytelling. Year after year, the Official Missouri Travel Guide delivers the best of Missouri to interested travelers—travelers who contribute billions to the area’s economy. The guide is the best source for selecting where to go, where to stay, and what to do while visiting the state. As a display advertiser in the Official St. Louis Visitors Guide, you can purchase a storytelling package that provides you with a custom-written story about your destination that lives on your website. The story is also part of the 2019 Explore St. Louis Interactive Digital Magazine on ExploreStLouis.com. Reach your target audience and impact readers with the 2019 Visit KC digital and print marketing campaigns. 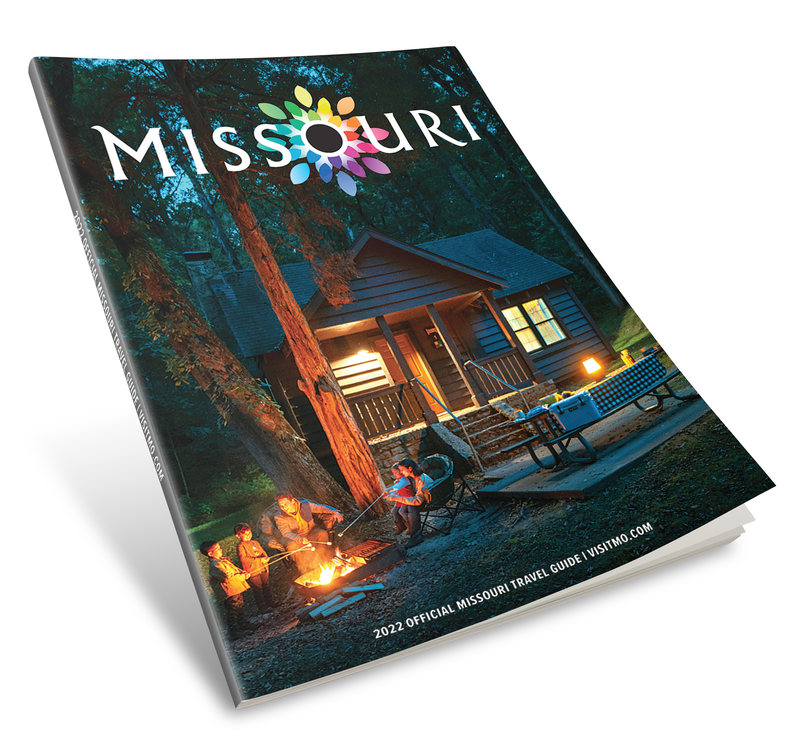 Reach interested travelers throughout the Midwest and South at their peak planning times with the Missouri Vacation Guide. Optimized content and a consistent brand strategy can expand your channels and tell your story. Year after year, the Official Missouri Travel Guide delivers the best of Missouri to interested travelers— travelers who contribute billions to the area’s economy. The guide is a great resource for selecting where to go, where to stay, and what to do while visiting the state. Three ways to increase your brand awareness and encourage audience interaction. You want to create brand awareness and encourage travelers to take the next step toward booking their dream vacation—Remarketing Display Ads do just that. Search Engine Marketing and Remarketing Display Ads help you reach your campaign goals. South Carolina’s comprehensive digital packages deliver a consistent message to target audiences across multiple platforms. Year after year, the Official South Carolina Vacation Guide delivers the best of South Carolina to interested travelers­­. Video inspires action. With more than 1 billion unique users visiting YouTube each month, video ads offer an extraordinary opportunity to reach large audiences.1 The Video Marketing Co-op from the Black Hills & Badlands Tourism Association offers the ability to include YouTube in your marketing mix. Travel Wisconsin’s Event Guides offer a full-color view of more than 500 Wisconsin events. 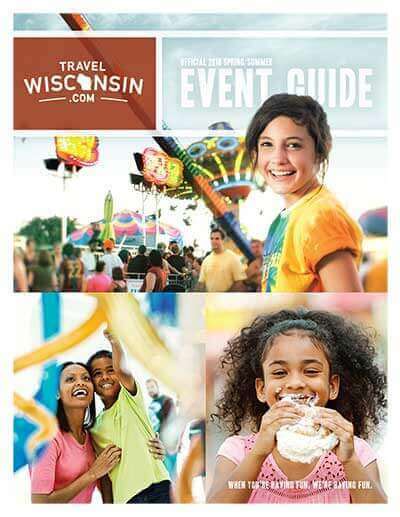 Travel Wisconsin’s Event Guides offer a full-color view of more than 500 events statewide. Travel Wisconsin’s Official Travel Guide delivers the best of Wisconsin to visitors. 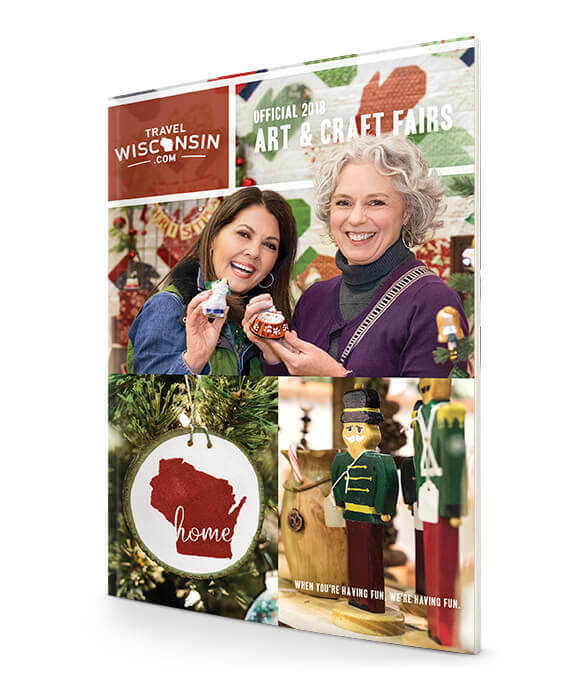 Travel Wisconsin’s annual Art & Craft Fairs directory is the only publication targeted to visitors interested in attending art and craft fairs throughout Wisconsin.